First thing I do is wool gather. 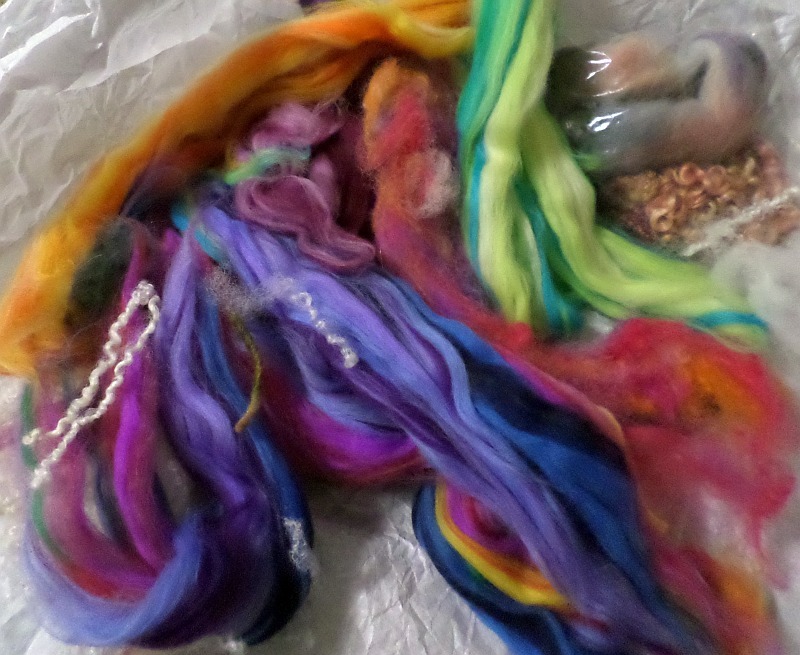 I purchased a variety of colors in small amounts from an Etsy seller. I took thin strips of wool from several colors and laid them together, then slightly drafted the fibers so they’d stay together when I picked them up. 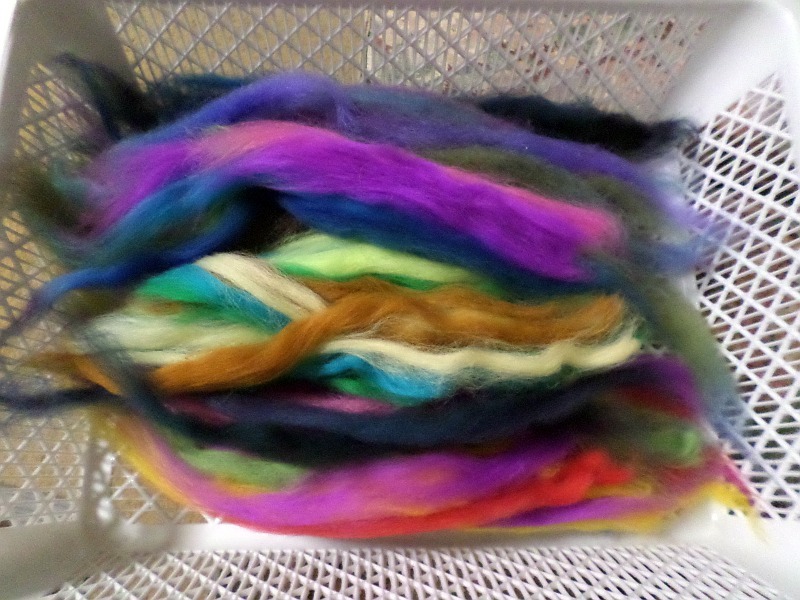 Separately, I drafted out some strips of dark wool so I could mix that in when I felt the yarn needed it. I also occasionally threw in a curly lock. 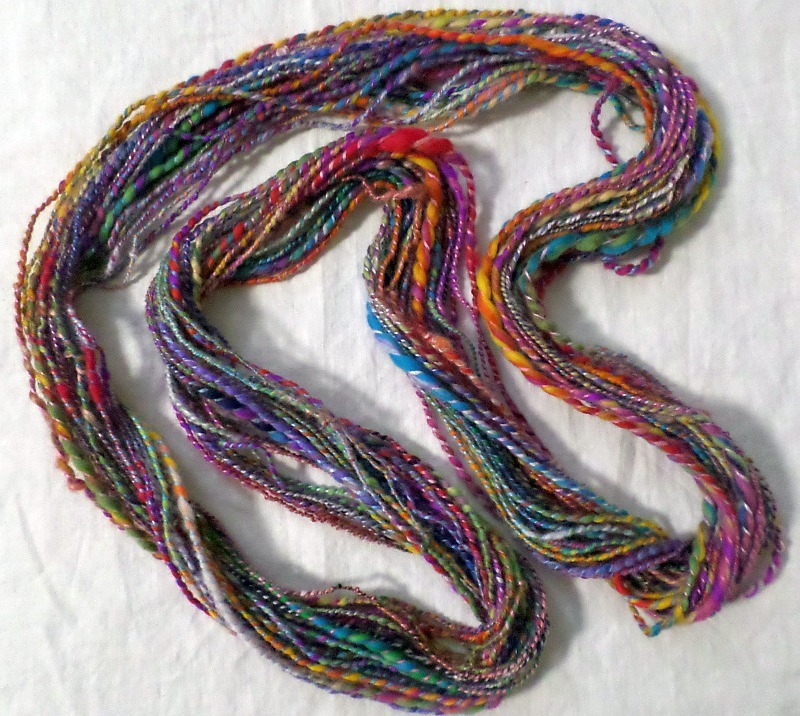 I stretched it out as I spun it, but it relaxed back into original shape when plied. 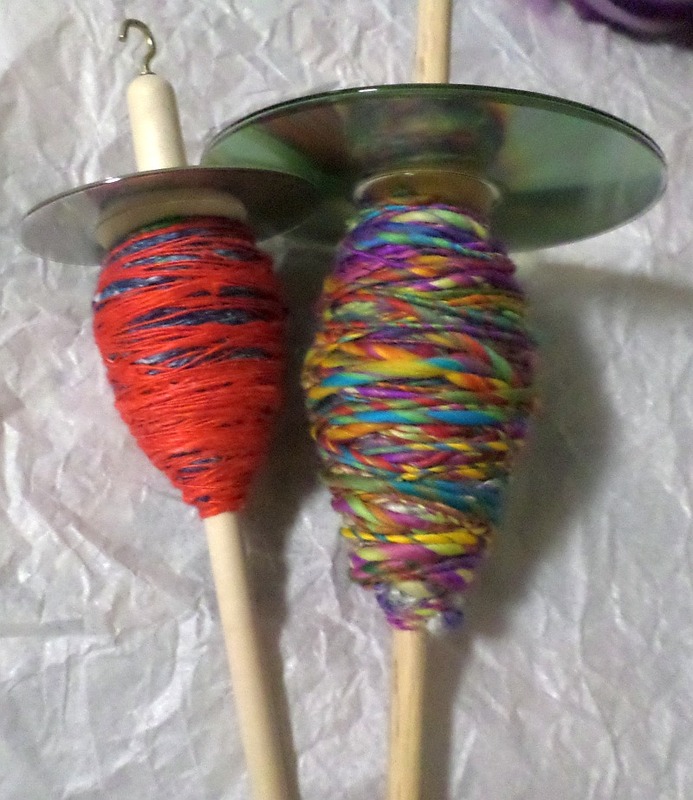 I spun the yarn onto my spindle in roughly the same manner I’d spin a regular yarn. However, I purposely made sure there were plenty of thickness variations; sometimes if it was a bit difficult to draft a certain area, I’d just let it be a thick spot. My color-combined strips of fiber typically had three to four colors in them. Sometimes while spinning a couple of the colors would drop out of the mix, then show up again. I never used more than one of the same color strip in a row. 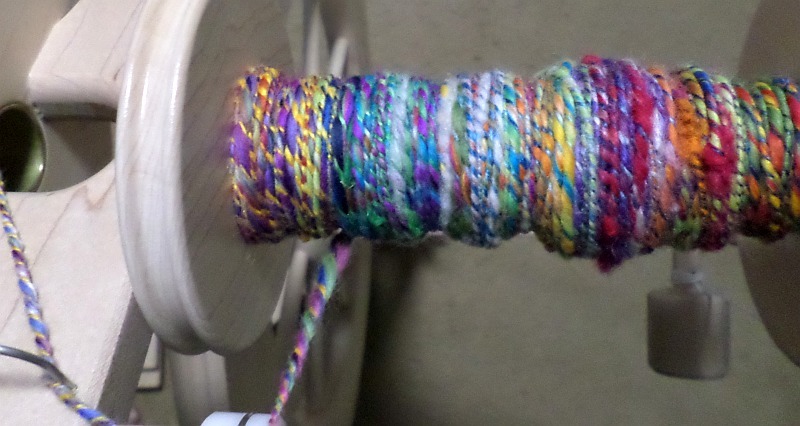 Something I noticed as I plied was a tremendous variety of color combinations I never would have thought of during my usual spinning practice. 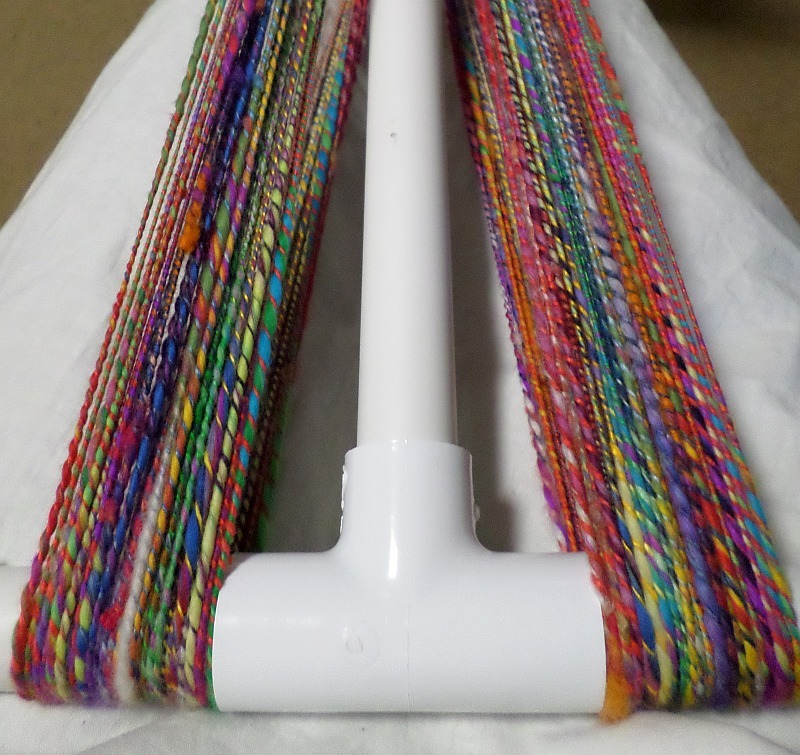 Plying with silk accented the colors beautifully. Plied art yarn on the niddy noddy. Weirdly, the color seems to have washed out of the spun silk hankies. Luckily, white silk is pretty too.